Warm Ears, Warm Hearts Foundation Inc. Warm Ears, Warm Hearts Foundation Inc. 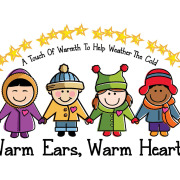 The Warm Ears, Warm Hearts Foundation is a Florida based nonprofit dedicated to collecting and giving winter clothing to children in need. Started by one lone high school student, Alejandro Morles launched this foundation at the age of 15. When the first box of mittens, gloves, scarves, beanies, and other pieces of assorted winter clothing was sent to P.S. 277 (519 St Ann's Ave, Bronx, NY 10455), Alejandro became determined to make this project grow. We currently run this event every December on a much larger scale every year. By bringing the community and their giving power together, we plan on collecting more winter clothing to give to children in need, just like we did last winter. Would you recommend Warm Ears, Warm Hearts Foundation Inc.?